Convening in the presence of ITER Director-General Osamu Motojima, the Program Committee supported the ITER Organization's proposal for a generic TBM Arrangement. 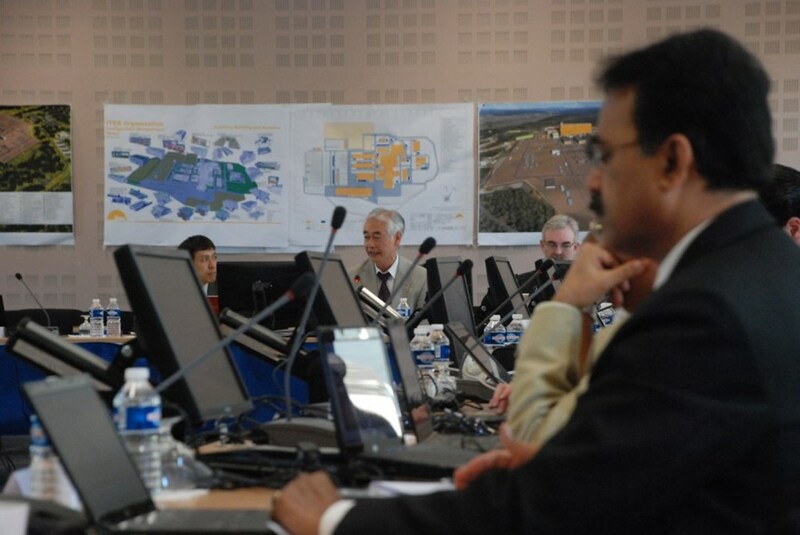 The seventh meeting of the ITER Council Test Blanket Module (TBM) Program Committee took place in Cadarache on 10-11 May to discuss the program's status and to make decisions to ensure that the ITER Members' activities stayed on schedule. 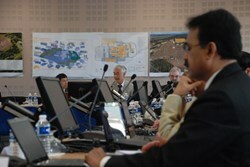 The TBM Program Committee meets twice a year to govern the implementation of tritium breeding modules and associated systems in ITER. Convening in the presence of ITER Director-General Osamu Motojima, the Program Committee supported the ITER Organization's proposal for a generic TBM Arrangement, which had been presented and discussed in previous meetings. The Generic TBM Arrangement will serve as a legal framework for the supply of the six Test Blanket Systems (TBS), covering issues such as intellectual property rights, liability, and responsibilities. This endorsement represents a major step forward for the ITER TBM Program. Another significant outcome of this meeting was the nomination of Korea as a TBM Leader in order to test their Helium-Cooled Ceramic Reflector (HCCR) TBS. A Member TBM Leader holds the responsibility for a specific TBS that can potentially be of interest also for other ITER Members. The innovative HCCR concept uses graphite as neutron reflector, opening the possibility of avoiding the use of a beryllium neutron multiplier. Discussions were also launched on the provisions for managing TBS radwaste with the involvement of Agence ITER France (AIF), the official entity in charge of the future ITER radwaste management on behalf of France, the Host State.